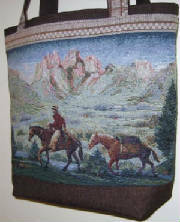 This is a great tapestry that looks way better even than in the photo. 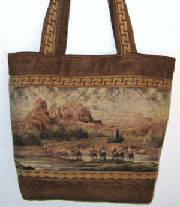 Dark brown trim & lining. 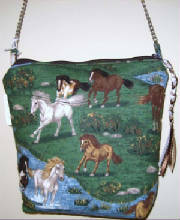 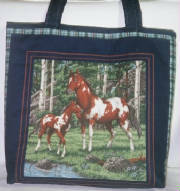 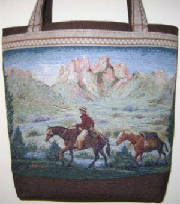 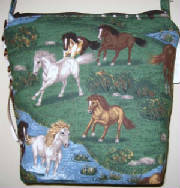 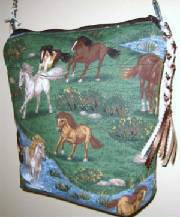 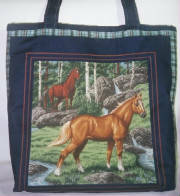 Click on horses photo below to see selection of horse fabrics available for custom orders. 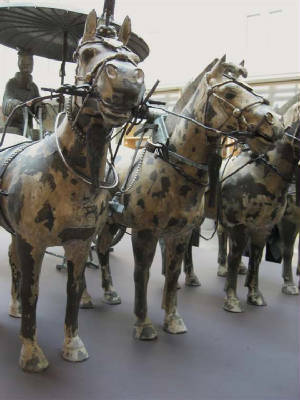 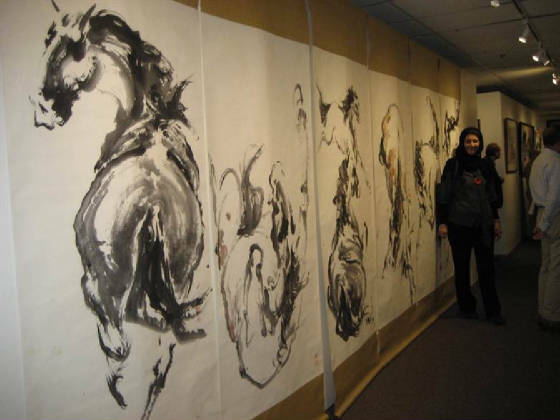 "Galloping: An Exhibition to Celebrate the Year of the Horse" ran through February 16 at the Silicon Valley Asian Art Center, Santa Clara, CA (www.artshu.com). 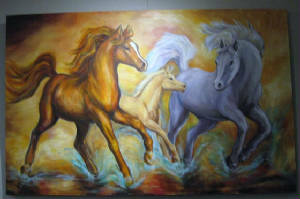 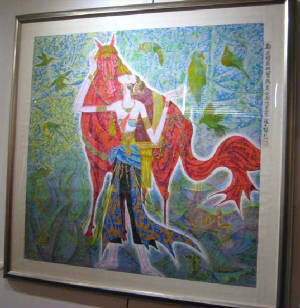 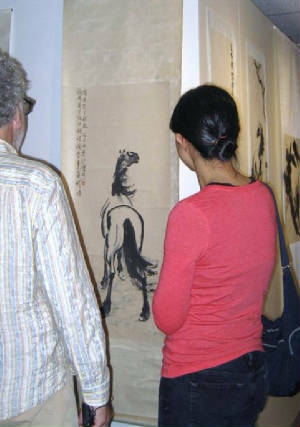 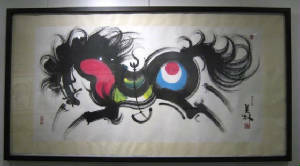 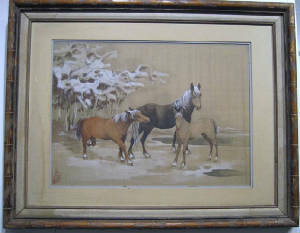 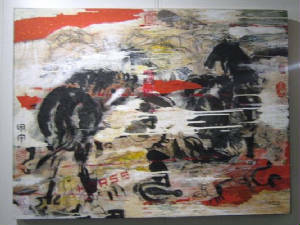 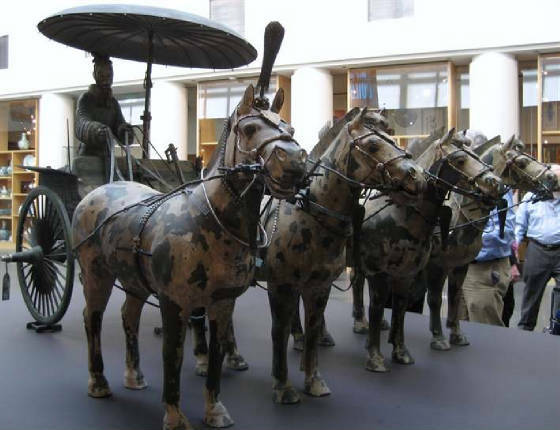 The horse paintings below are from that exhibit.